Breg's Silicone Elastic Ankle Support features elastic construction with silicone inserts for compression that relieves pain and swelling. The Breg Silicone Elastic Ankle Support includes a contoured silicone insert to relieve pain and chronic ankle swelling. The product features a knitted elastic material provides ankle compression and support that's finished off on the ends for a smooth feeling against your skin. 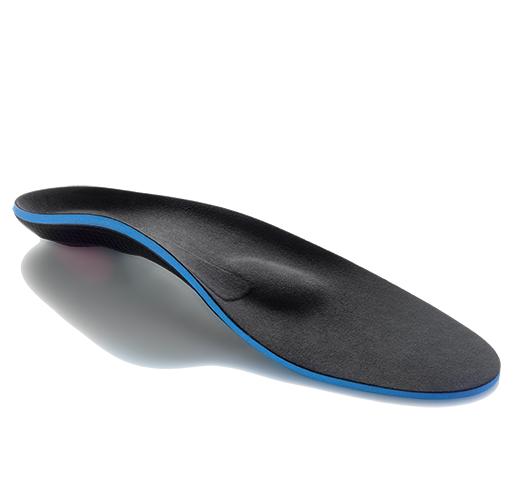 Dual, silicone inserts on either side of the ankle push edema away from the medial and lateral malleoli where it accumulates easily. 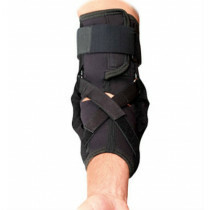 The slip on design is easy to apply and provides uniform compression, making the Breg Silicone Elastic Ankle Support ideal for use at home, work, and recreational activity. 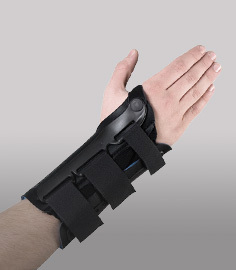 It fits both the right and left sides and provides ankle support for chronic swelling, sprains, and instabilities. Features breathable, elastic knit construction. Silicone insert provides a contoured fit. Contains latex; elastic material for breathability. Medical grade silicone insert. I have arthritis which has produced swelling for 15 years. I have tried other knitted supports but have always had a hard time finding ones with the pads inside. The J-pads press into my ankle on the sides to keep the swelling for showing up. I wear mine all day and find it's comfortable and doesn't dig into my skin like others. Fits inside all my shoes as well and doesn't bunch up in the front.